When I started this blog I wanted to share with people things that interested me as an individual. Without hesitation, this is something that truly does. 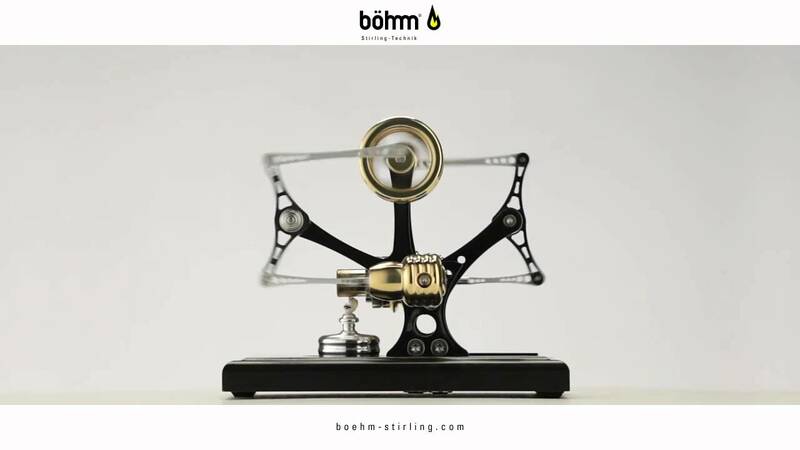 It is a Bohm Stirling Motor (HB10). I love everything about it – the design, the fact that it runs like a life size motor, the fact that you build it yourself, the fact that there are no electronics at play here – the list goes on. As good as a Newton’s Cradle is in it’s aesthetic and scientific relevance AND as a ubiquitous office table ornament, this motor (and any of it’s siblings) just makes the Cradle seem a bit boring. This is definitely a WANT.